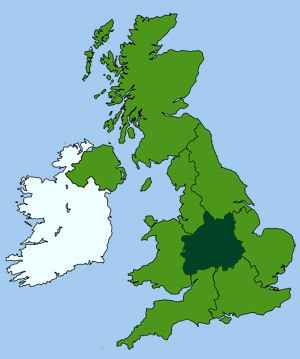 At nearly 1500 square miles, Shropshire is one of Britain's least populated areas, located in the West Midlands on the border with Wales. 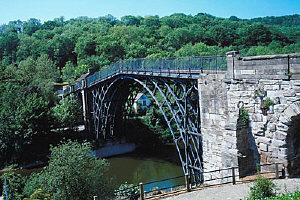 Home to the famous Ironbridge Gorge and the beautiful Severn Valley, with its excellent heritage steam railway. The spectacular, mountainous and rugged, Shropshire hills cover a quarter of the county and are designated an area of Outstanding Natural Beauty. To the west the English/Welsh border has born witness to a long history of conflict. Under the Normans, this area become one of the most heavily fortified, indicated by the number of Norman Castles still standing here today. The Severn, Britain's longest river, winds its way through lush valleys down to the county town of Shrewsbury. With over 600 listed buildings, Shrewsbury is said to be one of the finest preserved towns in England. Shropshire Pie - made with rabbit and artichoke hearts. The county took its name from the county town 'Shrewsbury', which is pronounced 'Shro'sbury' leading the district to initially be called Shro'sburyshire which was then eventually shortened to Shropshire.